Become a boss of a construction company. Demolish old houses, flatten the ground, fill foundations with concrete and build new buildings - this is what you do. Sit behind the wheel of different construction machines - from trucks and diggers to huge cranes. 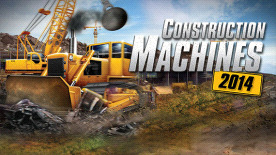 Win contracts and gather money to expand your company and buy or upgrade your machines.